A recent survey revealed that if a business can reduce its customer defections it could boost sales by between 25-85%. The survey also stated that many customers would not move to another supplier if they simply received an apology for the poor service they had received. What’s more, it can cost your business five times more to buy a new customer than retain the ones you already have. The old adage that the customer is always right certainly rings true in today’s competitive market. Don’t ignore your customers, but try and develop a close working relationship with them. They are your business’s best source of market research and product testing, that they will be only too happy to help you with. The closer the relationship you can develop with your customers the more loyal they will become. When you do get a complaint from a customer don’t react by thinking this is a personal criticism of your business prowess. Look at each complaint as a way of improving the overall operation of your enterprise. Your customer has highlighted a fault in your operations. You now have a chance to fix this and further develop your business. Consumers consistently place companies that offer them that little bit extra in customer services as their most preferred businesses to buy from. Ensure your staff takes the time to listen to your customers and do all they can to help them. This may not result in a sale every time, but the goodwill that this generates will cement your relationship with each of your customers. Don’t forget, sustainable businesses are built on customer loyalty. Many smaller enterprises rely on the staff they employ to be the public face of their businesses. Look closely at the skills that your members of staff currently have. A structured training program is an excellent way of improving your business’s overall customer services. The CRM platform that you install must integrate with your business’s other IT systems if it is to deliver the return on investment you expect. Look closely at this point as a CRM system that doesn’t integrate well can have the effect of eroding your customer services and not improving it. All CRM systems are not made the same. The CRM technology market has exploded over the last few years. This means that you have a vast choice when it comes to choosing your system. Look closely at your needs and match these to the CRM system that will improve the areas of customer service you are looking to develop. Many small businesses believe that replacing their staff with automated CRM systems is a good way of improving their customer relationships. Nothing could be further from the truth. A FAQ (Frequently Asked Questions) page on your website is not an adequate replacement for live customer service personnel who can develop a relationship with your business’s customers that no automated system can ever match. It’s important that you see the CRM system you’re thinking of buying actually working in a live customer service environment. Look for suppliers that can show you businesses they have worked with of a similar size to your own. You will then be able to make a much more informed decision about which system is right for your business. 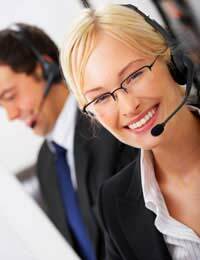 Improving your enterprise’s customer service is one of best ways you can increase profitability and customer loyalty. Take your time to choose a CRM system for your business if you feel it would benefit from installing these platforms.